Another iconic guitar brand, The Rickenbacker International Corporation (RIC) grew out of the first company founded for the sole purpose of creating and manufacturing fully electric musical instruments and amplifiers – the Los Angeles based Electro String Instrument Corporation. Founded in 1931 by Adolph Rickenbacker and George D. Beauchamp, this pioneering firm produced “Rickenbacker Electro Instruments”, the first modern electric guitars. Rickenbacker continued to specialise in steel guitars well into the 1950s, the company being sold in 1953 to F C Hall, heralding a new era as rock and roll took hold. In 1956 Rickenbacker introduced two instruments with the “neck through body” construction that was to become a standard feature of many of the company’s products, including the Combo 400 guitar, the model 4000 bass, and, later, the 600 series. In 1958, Rickenbacker introduced its “Capri” series, including the double-cutaway semi-acoustic guitars which would become the famous Rickenbacker 300 Series. In 1963 Rickenbacker developed an electric twelve-string guitar with an innovative headstock design that enabled all twelve machine heads to be fitted onto a standard-length headstock by alternately mounting pairs of machine heads at right-angles to the other. 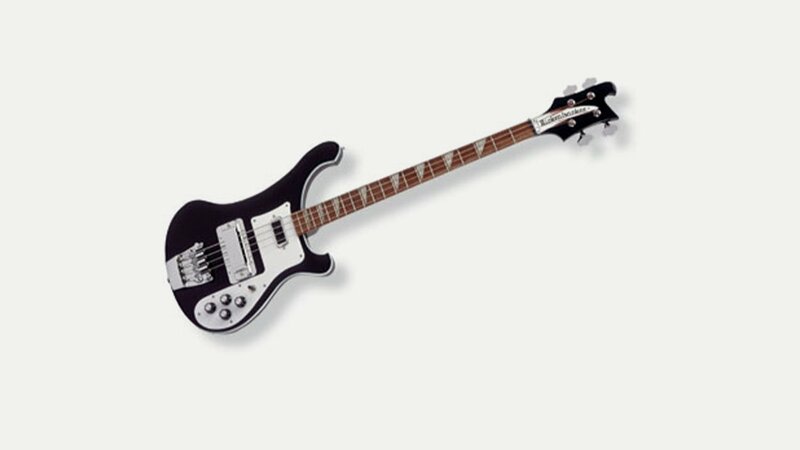 During the 1960s, Rickenbacker benefited tremendously when a couple of Rickenbacker guitar models became permanently intertwined with the sound and look of The Beatles. As both the British invasion and the 1960s came to an end Rickenbacker guitars fell somewhat out of fashion becoming popular again in the early 1980’s. Today demand continues to outstrip supply.